I started a new diet a week ago and went on the scale today, to discover that I had lost 1,5 kg in that first week. Needless to say, I am ecstatic and going on with the diet. Although I only need to shed a few more, I recently felt it was time for me to act on it. After all, it meant a few sacrifices (no cheese, yogurts, sweets, desserts, and only 2 apples, 2 bananas and a few berries as sweet things this week ;-), but at the same time, it did not feel so difficult to follow. Because I was ready for it. And then I had to think about other times in my life when I had that same feeling, and what came was when I stopped smoking, about 13 years ago. During the previous New Year’s eve celebration, we had shared our new years resolutions and mine was to stop smoking in 2002. My friends said that if I did not declare a fixed date for doing it I would not do it. I replied that they should trust me and that somewhere during the year it would happen. Well, it did happen. In June, I started dating my husband-to-be, who was a non-smoker. Although he never complained about my smoking and never asked me to stop, that contributed to my feeling of “it’s about time now”. I had got from a friend the name of a hypnotherapist who was doing group sessions to stop smoking, so off I went, to Paris (I had moved to The Netherlands already! ), for a session with him. And it worked. And although I attribute this success to hypnotherapy, I also believe it would not have been possible if I hadn’t decided I was ready to stop. This being said, I also agree with the motivational speakers when they say: “start before you are ready”, but to me that applies more to things like starting as an entrepreneur. And I also know perfectly well that I told you, not so long ago, that your fears would not go away unless you did the thing you feared, that there is no such thing as “I’ll do it when I feel ready”. So then, how can all of those be true at the same time? (you got me thinking for a minute here…). To me, the difference is in the fears. I did not fear going on a diet, I didn’t fear stopping smoking, I was just being comfortable keeping my habits ;-). Until the point came when there was like an inside click in me, where I felt in agreement with the growing desire to stop smoking and to loose weight. That’s what readiness looked like for me. Whereas, indeed, with things like public speaking… I don’t think I will ever be “ready”. But it’s ok, because I do it anyway (well, of course, I still have to force myself, but I know I can do it!). I am curious to know if that resonates with you! Let me know! There’s this famous saying that goes: “ Treat others how you would like to be treated”. Well, of course I agree with that ;-), but my point here is that you need to treat yourself well if you want other people to do the same. Otherwise, how could they know how you want to be treated? Let me elaborate… If you want people to respect your boundaries, you need to set them and to respect them yourself first! For instance, if you are an entrepreneur, and letting people bargain your price, or not being able to state it firmly, people will feel it and not pay you the price you asked for, bargain even more etc. 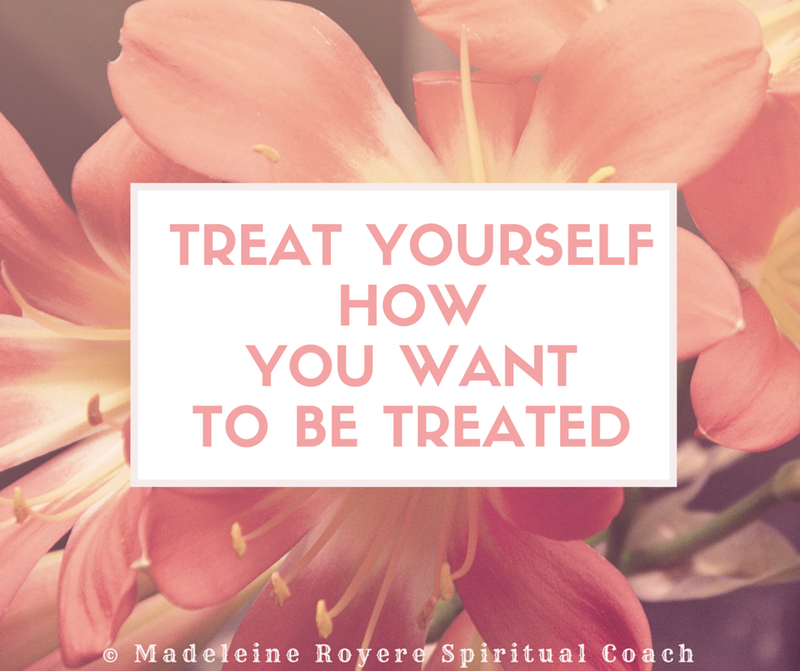 Equally, if you want people to treat you like a queen, then you need to treat yourself like a queen. Whatever that means to you: buying yourself flowers every week, dressing well, taking care of yourself and your health, your look, etc.. The upsides of egoism and impatience! Yesterday I posted a pic on my FB page with a few mantras (and reposted them on WordPress! ), and it started a conversation with a male friend on one of those, namely: “I come first”. So I thought I should expand on this topic a bit more! Why (and who) do I advise to use this mantra? Well, I noticed that many of us have a tendency to give their time, energy, help to other people, but sometimes up to the point where they don’t have enough left for themselves (and risk a burn out!). Do you maybe recognize yourself in that picture? Of course, there is nothing wrong with helping others and being of service, on the contrary. What I think is wrong is doing it without first caring for our own needs, our need for rest, our need for me-time, our family needs, etc. How can we help others if we already feel depleted? So when I say: “I come first”, I am not planning on advising all of us to become egocentric, I am simply saying that self-care is needed first! Think about young kids. Aren’t they egocentric? Don’t they think first about what they want? Don’t they claim what they want (sometimes pretty loudly even!)? And do we hold grudges? No, of course not, we understand it, we accept it even. The other character trait I want to mention here, that also has a bad reputation, is impatience. Well I claim being impatient, and although I make regular attempts to become more patient, today I even felt happy to be impatient. Because I believe impatience is driven by desires, and to me it simply means I have dreams, desires (hence I exist! ), and I am motivated to see those fulfilled as quickly as possible. It also motivates me to take action so that I do my part of the job to see my desires fulfilled, to see my dreams come true more quickly! I posted that yesterday on my Facebook page, so I am sharing it with you today as well! Enjoy! Get out…of your comfort zone! So today I have a few tips for you! 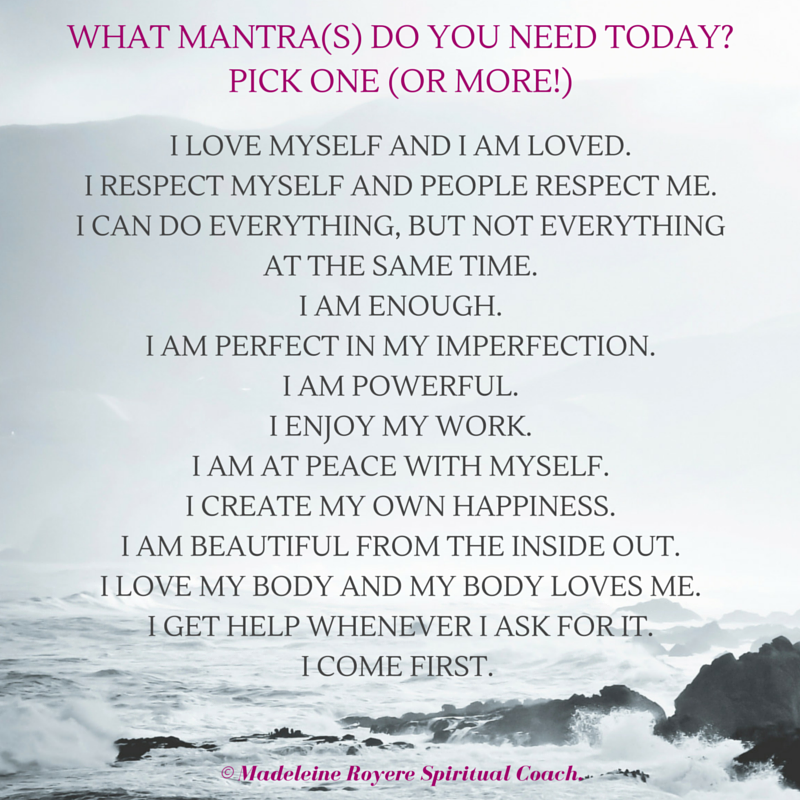 First of all, we can use a mantra (if you have never used one before, it’s a sentence we repeat to ourselves as many times as possible per day for a period of time, until it gets registered into our subconscious and we believe it!) that would say something like: “whatever happens, I know I will be able to handle it”. You can put it as a reminder on your phone, as post-it on your bathroom mirror, on the back of your entrance door, etc. So when you feel the fear coming up, repeat it to yourself! Secondly, I believe that taking risks is going out of your comfort zone. But the good news is: you don’t have to go too far at once! How about taking small and calculated risks to build up your self-confidence, before you dare taking bigger risks? (We already talked about that in the 7 day Feel Good e-course, with doing something new every day J) For some of you asking for help is already going out of your comfort zone, for others it might be talking to strangers, or calling people who can help you develop your activity, etc. We all have a different starting point. What is important is that by taking those small risks regularly we build up our ability to do more (on top of our self-confidence), and the things that once seemed difficult, impossible, do not seem so anymore. Thirdly, if what you “fear” is also what you desire the most (I am talking big things like ending a relationship or changing career), I would use the 10 years test. What it is about is for you to consider your life in 10 years if you do it and if you don’t. How different would it be? If you think you would regret not doing the thing you fear, then I would say Just do it! Of course, a good preparation upfront can be of help ;-), my point here is for you to be able to distinguish between what’s really important for you and what’s not! 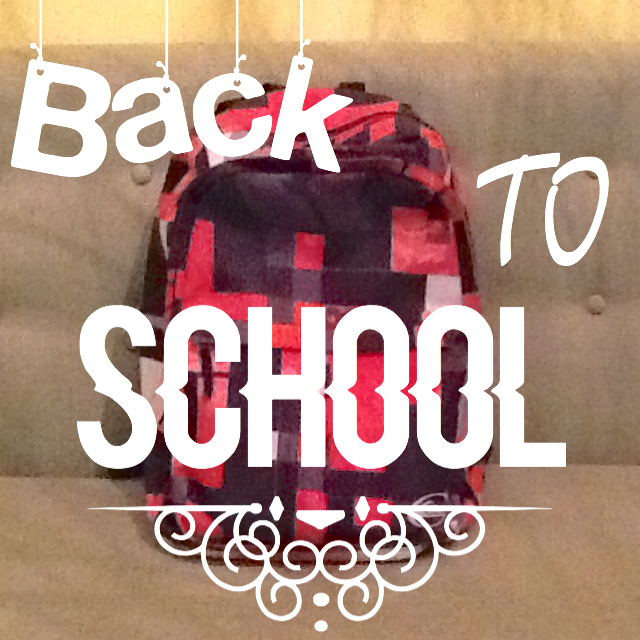 Back to school / Back to work! Even though not all of us went on holidays this summer, September is always giving us that feeling of going back to school. Although we were mostly happy to see our friends again, we would also have liked to stay in holidays enjoying our free time… the usual dilemma. We might be grown up now, but going back to work might still seem a difficult step to take and we would really like to stay longer on holidays… So the question is then: how do you get back in the mood? One of my strategies, which I advise against, is to never really stop working… But then, I also don’t regenerate and never get to fill up my big energy tank for the year ahead… And one of my excuses / reasons for doing that is that I have difficulties to start again after a long break. Obviously, a better strategy is to take a real break when possible, and definitely longer than a week to have enough time to really relax and regenerate! My big tip for you, to make the transition easier, is to first reconnect to your (big) why. Why do you find yourself going back to school? To finish a study you never got round to complete? 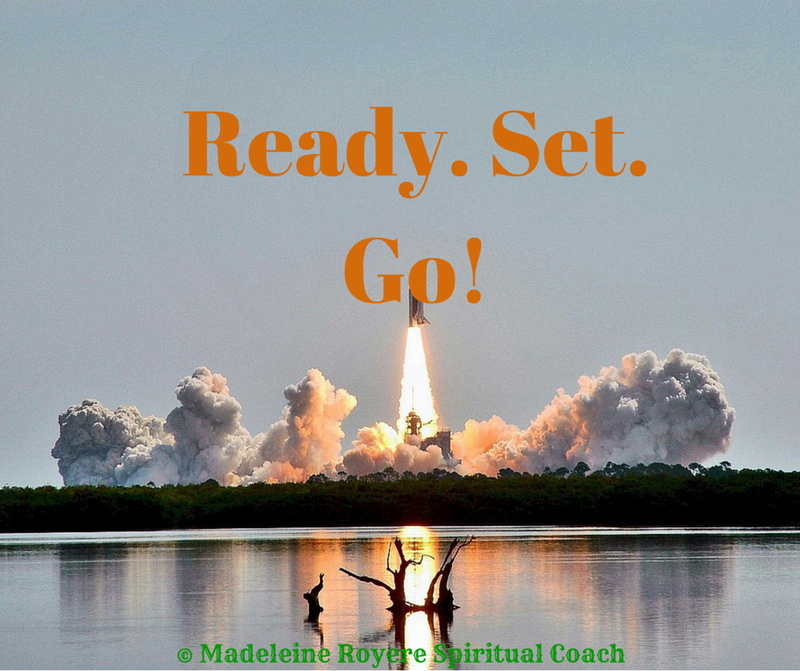 To retrain, so that you can make a career change? To learn a new language? Why do you go back to work? Behind the obvious “I need to earn money”, my question is: why are you doing that kind of work? What excites you in what you are doing? What’s your bigger motivation? Helping people? Healing people? Bringing more beauty into the world? Expressing your unique gifts? Making people beautiful? I believe deep down we are all looking for that thing that brings us happiness, that makes our heart sing, that we would want to do even if it wasn’t for money, just because we love it. So what is it for you? Unless earning money is the only reason for doing it. If it feels enough, then great. You shouldn’t have difficulties to go back to it anyway. If it doesn’t, then it’s another story of course, and thinking of a career change is an obvious option, but another quicker and simpler idea is to look at what you are doing and think about how you can make it more interesting, more fulfilling. Is it by looking at the bigger picture; is it by adding some ingredients to the mix, is it also maybe by simply feeling grateful for it as it brings you money? Even if it’s just temporary, as you will explore that career change further down the road, I believe that by looking at your job with different lenses will also help you make your return to work easier!